I’ve been spreading the good news about Pinterest for the past year, but only a handful of blogs I’ve seen truly harness the power of Pinterest to grow their readership. This is a series of posts I’m writing about – you guessed it – using Pinterest to grow your blog. In the coming weeks, I’ll be adding to this series – so be sure to subscribe so you can keep up with the latest happenings around here. Part 7 :: How to Feature Your Most Pinterest-Worthy Posts in Your Sidebar – and get new followers! Feel free to leave them below in the comments. 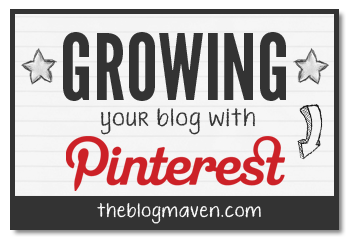 I’m always considering new ways to grow your blog readership – including through Pinterest. This is easily my new favorite blog! Great tutorials to help me get my own new blog up and running. Thank you! I have a question concerning having my pictures easily pinterest-able. Some web sites I visit have images which show a P on the left top corner when you pass the mouse on it. As weel it is done automatically on Feedly for example. Do you know what this implies? Hi Shruti, you’re probably seeing a WordPress plugin. On the jQuery Pin It Button for Images, for example, you can select a setting that will make the Pin It button appear when the reader hovers over the image. There are other plugins that will do similar things (I use Pin Button Attraction which also has a hover feature), so as long as you’re on WordPress, you have plenty of options. Hope this helps! I have waken up! I had my Pinterest account but my categories were in english but now I am foucsing only in the spanish market for “desarrollo personal” or personal development! So I have change it to spanish and I will start working more on Pinterest! Any thoughts on the spanish market for Pinterest? Thanks for your note! I don’t have any thoughts on the spanish market for Pinterest, per se, but I do have a general observation: when you’re pinning on your boards, make sure you’re keeping your ideal reader in mind. Think about what will be the most helpful for them – with organizing your boards and also just the types of content you’re pinning. Your Pinterest boards should be as helpful to your potential readers as you strive to be on your blog. Great work, refocusing your Pinterest categories for your own readers! Because it was organized in categories but I think I can be more especific, like having a board as a “post” or “idea” and then bringing many ideas that will sopport that big idea. So that every board will be as helpuful as any of my blog posts as you say! Thanks agian, and have a great sunday!! Thanks so much for taking the time to make things so clear for a newish Pinterest use. I do have one question that I have looked all over to find an answer to . . .
I’ve read that the recommended width for a pin is about 554 pixels. So if I go into a program like PicMonkey to make my graphic, and size it to 554 (according to THEIR numbers) it is teeny weeny and very narrow. Hi Becky, thanks for your question – it’s a good one! I don’t personally use PicMoney, but my friend Trina does. I’ll see if I can get her to pop over and answer your question. Hi, Becky! 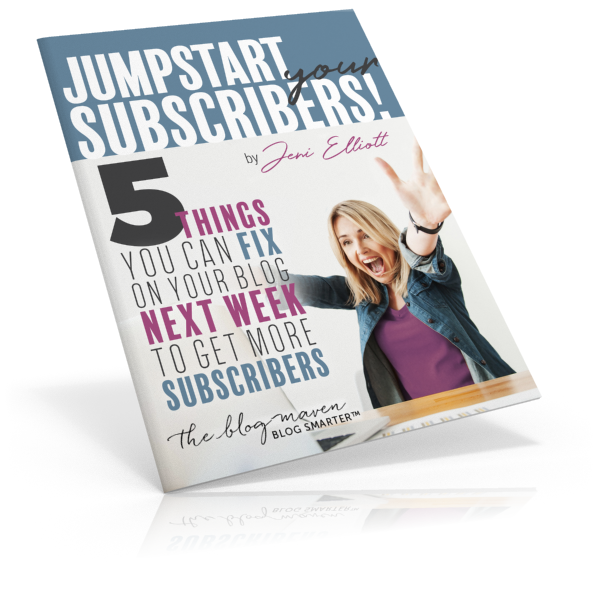 Jeni’s right–I use PicMonkey for all my blog graphics. I’m not an expert on pixels, but as far as I’ve experienced, PicMonkey uses the same units of measurement. I went ahead and started a custom design over there this morning and made it the 554×554 you mentioned and it’s showing up quite large on my screen…Is it possible that you were viewing it zoomed out? (there’s a little % number at the bottom right of the program that is your viewing resolution.) Or that you didn’t give your custom dimensions enough width? If you can’t get it to work for you, I’ve heard there’s a new kid on the block, a rival to PicMonkey called Canva. (https://www.canva.com/) My friends are telling me it’s very user-friendly! Thanks so much for response. As embarrassing as it is to admit, that is EXACTLY what I was doing in PicMonkey; my “zooming” was wrong. Thanks for figuring that out. And thank you a bazillion times over for introducing me to Canva. I LOVE it! I especially like that they keep a history of past designs, something I’ve wished PicMonkey would do. 1. what should the ratio be of your own pins to others? I have heard mixed things w/ some saying 80/20 and others saying 50/50. Thoughts? 2. I was approached to get a pinterest business account. I heard some saying not to do it b/c they might start charging like FB does. Someone else told me I had to do it. So I did. Mistake? I hope not. Some of the pages on your site are marked up as articles, but it looks like the content on those pages are mainly recipes. You’ll have to add the correct tags to be approved. I think that’s it – thanks much! 1) As far as a ratio of pins, I wouldn’t worry too much about finding an exact number or balance. The main thing is to consistently pin things that are high quality so you’re training your Pinterest followers that you only pin “the good stuff” and they’re more likely to click through to *your* blog whenever you post one of your own items. 2) I can’t speak to the usefulness of a Pinterest business account. It’s always rolling the dice somewhat when you build a following on a platform you don’t control – basically, anything other than email subscriptions on your blog. But as long as you continue to get a good return on your time investment, it’s worth the energy you’re putting in at that moment. 3) I don’t have any tutorials on setting up rich pins, but here’s one that might be useful. Thanks for this Jeni – It looks great! This post is SO appreciated, Jeni! I just recently got on Pinterest and I can use all the help I can get. I’m putting this on my ‘to do’ list so I read all of this great info from you. Hi Jeni, I always love to come to your blog. Trust me its a visual delight. So clean so uncluttered. I was doing a series on Pinterest topics and strategies, the one that featured you is the second on the series. This particular post will so very well help me to complete my future parts of the series. Thank you so much for this! I have just started to utilize Pinterest for my blog (and for fun) a few months ago and would love to build my readership! Thanks for your feedback, Jeanette – glad to hear you’re moving forward! I hope you find some more info here for Pinterest that will bring some results as well! Oooh. This looks like a great series!! I’m excited to dive in. Hope you get a lot of good info from it, Emily. Thank you! I fully intend to read all of your materials! I just started a blog and am a little overwhelmed and sometimes discouraged. I appreciate you posting this for all of us in this situation! Hope you find it helpful, Kirsten. Good luck pushing ahead! I’m a new blogger and trying to get in the habit of adding my posts to all the different social media spots. Pinterest is really confusing to me. I tried to make one “pinnable” but when I click on it it goes to my site but says “oops that page can’t be found”. How do I link a pinnable image to the blog post I want readers to click over to? I thought maybe it was by verifying? I haven’t completed that process yet but is verifying required for a pinnable image to redirect to your site? The best thing to do, when you’re creating a new pin, is to pin it directly from your site. So, click the Pin It button at the top of your post and use that pop-up window to write the pin description and pin it to a particular board. By the way – verifying isn’t necessary for pins to direct to your site. If you just pin directly from your site, that should all be taken care of. Thank you! I’ll try it. Thanks so much for your awesome guide, Jeni! Your response to Angela’s comment answered a question I’ve been trying to find for a while now – how to place a pinnable image within your blog post. I’ve recently started a blog with friends and so far, we’ve been using a 735 x 1102 image, but we post it as 300 pixels, left justified, so our home page looks neater. So if a larger image is more effective, would it be okay to insert it about a couple paragraphs down so it’s hidden by the read more line? (Hope I’m making sense.) We’re pretty new to using Pinterest for blog posts and I want to start off doing it the right way. I have been trying to pinterest my blog´s posts, to no avail. Could you please be so kind as to tell me how can I do that? I visited your blog and it looks like you got it worked out; when I hover over a photo, the Pin It button comes up and I’m able to pin your post. Great work getting it figured out! I had never considered Pinterest before reading this. Now I’ve joined and follow The Blog Maven. Thinking of ways this could be utilized for an office machine/ network setup business. Thank you for such useful and inspirational information, Jeni! Heard so much about Pinterest but never knew how to get started. Thanks so much for your guide, Jeni! I look forward to picking up some very useful tips and hope to help myself now. Great experience. Thanks for share. Pinterest is also my favorite. So many amazing tips – I feel like my head is about to explode with excitement. Pinterest is amazing. Could not agree more with joining collaborative boards – my pin reach has increased exponentially since doing this. Thanks for the brilliant tips!! This past few day my small business is really growing fast, improvising and planning perfect ideas that I’ve learned from Pinterest. It was a really good social media site for sharing knowledge and insights. I always use this site to learn new stuff that widens my expertise, awareness, observation, plans and techniques when it comes to the blogging subject titles. Thanks for sharing. I look forward to use Pinterest to grow my blog. Very nice of you to put this all in one guide. I haven’t really got my Pinterest going. I have an account, a couple boards, and maybe a handful of followers. But it isn’t near good enough to help grow my blog. Never tried pinterest before, but thanks i would like now to try it. thanks for sharing this wonderful information and god bless! Hey! So I’m just starting out with the whole Pinterest and WordPress thing and I want my photos to have that beautiful writing on them that says the title of the blog post so when Pinterest users want to pin it it’s eye catching. Is there a Pinterest plug in that allows you to write over top of your photos or do you have to do that yourself and then just add pin it buttons to the photos you’ve embellished? hi,jeni Thank you for sharing such a informative post on pinterest .I gain a lot of information from this post. I would love to converse with anyone anytime about how they financially prospered into becoming a Pinterest millionaire after they started their profile and how long it took them to achieve it! I’ve actually spent the last month really digging into Pinterest and learning how to use it. There’s always so much information online, however, most of the information you read says the same thing over and over. I have found that what works for some people may not necessarily work for you. It’s important to keep testing things out. For example, I had read that it’s best if you pin 50-70 pins per day. Well, I recently started pinning less and focusing on finding great quality pins to pin. I am now seeing more traffic to my blog. It does take time for your pins to pick up some traction. At least that’s what I’ve experienced. At one point, I almost gave up. So glad that I didn’t because I am finally seeing my hard work pay off. Thank you so much for this! I have been looking for some info about using Pinterest to grow my blog. I have been pinning my posts, but I don’t think I am seeing a lot of fruit from my efforts. I will be trying some of these for sure. Thank you! Nice article to increase the blog ranking & traffic. Awesome post having helpful tips for bloggers. I started a blog some days ago. I have not enough traffic but according to this post I hope it will work for me. If it will be helpful I’ll comment again for saying Thanks.